"Scraper: First Strike" is the first episode of a planned five-part Game, and it is one example of the relatively new genre of Virtual Reality (VR) games where the player wears VR goggles for an immersive experience. The Technology to allow home-based video games has come a long way since the days when home computers and game consoles first emerged as affordable entertainment in the early 1980s. Game graphics are now limited simply by development budget and often use similar technologies to film and television. Likewise game music has also come a long way from the bleeps and blips of arcade games, and can also use methods very similar to that underpinning music for film and television. However despite this broad similarity, there are a number of different considerations involved in Game development which in turn affect the development of the accompanying soundtrack. Although there are many composers who bridge the gap between different media, it is no surprise to find specialists in each genre. Winifred Phillips has a vast amount of experience in Game Soundtracks. 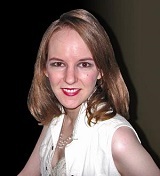 She has a long list of game credits, and has won many awards for her soundtracks. Her game credits start around 14 years ago and include "God of War", "Spore Hero", "Legend of the Guardians: The Owls of Ga'Hoole", "Speed Racer", "Homefront: The Revolution", "Assassin's Creed III: Liberation" and "Total War Battles: Kingdom" plus several film tie-ins such as "Charlie and the Chocolate Factory", "The Da Vinci Code" and "Shrek the Third". This breadth of game titles has required Phillips to engage with a wide creative and genre-stretching range including vocal-based cuteness for several puppetry titles in the "LittleBigPlanet" series, some post-minimalistic evolutionary music for "SimAnimals", and the funky jazz groove of "The Maw". Phillips is also the author of "A Composer's Guide to Game Music" published by MIT Press (available on Amazon.co.uk and Amazon.com) which has received very favourable reviews in the Music Industry Press. The composer also finds time between game assignments to add to her regular blog - available from her website at WinifredPhillips.com. Recent Blog articles have discussed various concerns and considerations when composing scores for VR game soundtracks. 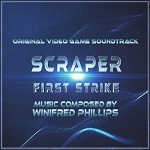 Phillips is therefore superbly qualified to score "Scraper: First Strike". "Scraper: First Strike" has a Cyberpunk look and is described as a "sci-tech shooter with RPG and exploration elements" where you "battle renegade robots in high-rise skyscraper complexes". From a gameplay perspective it is no surprise that the game requires a significant degree of action-oriented and militaristic battle music balanced with futuristic sounding "technology" components and suspenseful sci-fi atmospheres. The composer approaches the demands of the game with extensive use of ostinato patterns, either melodic or percussive or both. Overlaid on this background emerges some generally slower melodic motifs and evolving sounds. The scoring consists of an orchestral foundation of strings and brass, particularly in the heroic title track, some of the earlier tracks and the climactic finale. As you progress into the score there emerges many more EDM-like elements including a range of electronic sounds, such as sound design components, hits of varying complexity, percussive rhythms, drones and atmospheres. These elements are all combined in inventive ways so that individual tracks and the progression between tracks provides a powerful feeling of movement, energy and progression regardless of the player's skill level, and the perception is that Phillips' score will add significantly to the game experience. 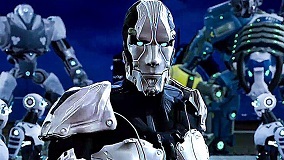 Particular tracks which highlight the breadth of music across the score are the robotic vocoder-like voices in "Human Resistance Force", the suspenseful "Hover Pod" and "Reactor Recon", and the frenetic battle music of "Humechs Attack". The Game has been developed by Labrodex Inc who have a website about the VR Game at scrapernetwork.com/vr-game/. The Game's Soundtrack is available as free "Downloadable Content" to purchasers of the Game, with both Game and Soundtrack being available on the Steam Store from 21st November 2018. Here are links on Steam to the game Scraper: First Strike itself, where you can also find the link to the Game Soundtrack.